I had a group of kids sing “Lend A Helping Hand” and "We Appreciate You!" as part of a Thank You PTA meeting. The volunteers were so thrilled with your songs and our performance, they asked us to sing for two of their update luncheons at which they fed our ensemble (second and third graders). The power of music lives on! Thanks a million, Teresa, Paul, and everyone else on your amazing team! I have used your Music K-8 magazines for 20 years and couldn't do what I do without you! I have also ordered subscriptions for the schools I have worked in because they are so invaluable. When I was teaching (both elementary & middle school), Music K-8 magazine was an absolute MUST HAVE!! An awesome resource for every music teacher!! Awesome resource. I always leave room in my budget to purchase. I have loved Music K-8 for a LONG time! I just want to thank everyone connected with Music K-8 and somehow share the relief that I just felt as I listened to the new selections for winter/Christmas. I have no worries about getting the winter program together because of you! I enjoyed every issue from your very first year until I retired in 2015. Thank you for making my 34 years more enjoyable by providing such kid-friendly, good moral, holiday, fun, silly, and poignant pieces for kids of all ages. Looking forward to another super incredible year with Music K-8! You are the best thing that has happened to elementary music! I absolutely love your magazine! The CDs offer so much, too! Thanks for sending out such a quality product. Wonderful resources. I teach music in the inner city, and goodness knows we need to hear music like this. I will definitely start recommending Music K-8 to all my music teacher friends! Thank you for creating such awesome resources! I am so grateful to you for all the time you have taken to help me.[...] I'm happy that I've found a publisher like you who is so helpful. Thank you for all the hard work all of you put into each issue, and know that they are loved by both students and teachers! I was introduced to Music K-8 during my student teaching semester and have been using it in my own general classes ever since! Eleven years later, it's wonderful to have new material for my students month-to-month (with some old-time favorites, of course)! You seem to get better every year! 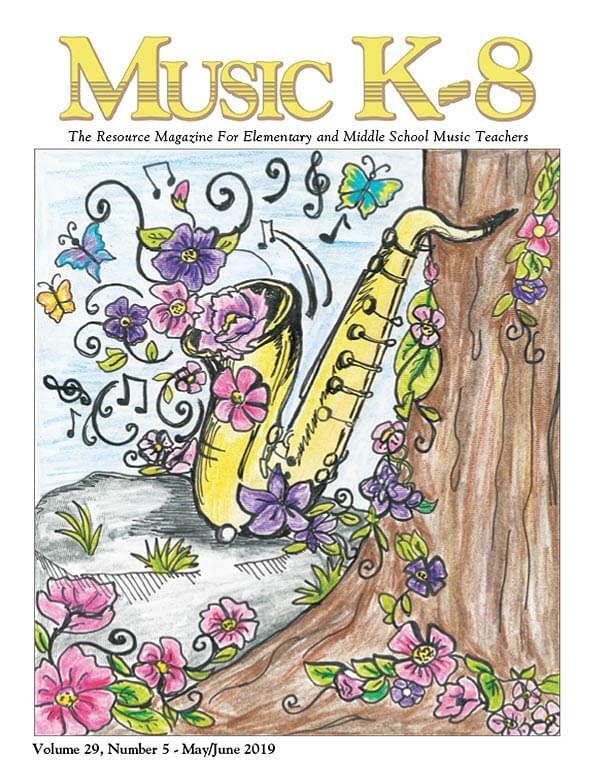 I am a subscriber to Music K-8 magazine and have been for eight years. I LOVE this magazine. This music is not only great for lessons, but great for AWESOME performances as well. Thank you! My students, their classroom teachers, and I love the wonderful new Music K-8 songs each year. Thank you for making my job so much fun! I credit your magazine for keeping me in the classroom.